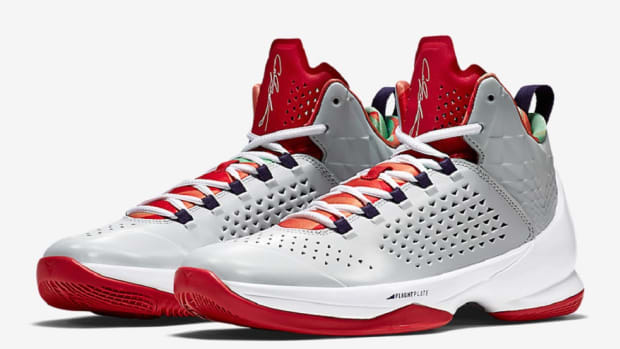 We&apos;ve already seen Christmas-themed colorways for a trio of signature Nike Basketball sneakers -- the Nike LeBron 11, Nike Kobe 8 and Nike KD 6 -- and now we get a first look at a Yuletide offering from Jordan Brand. 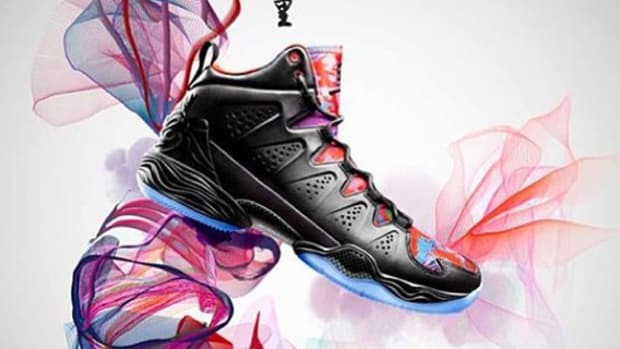 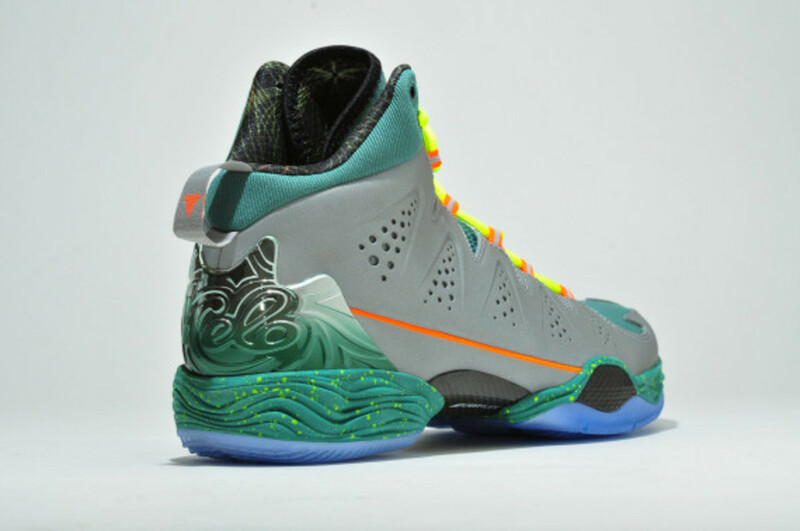 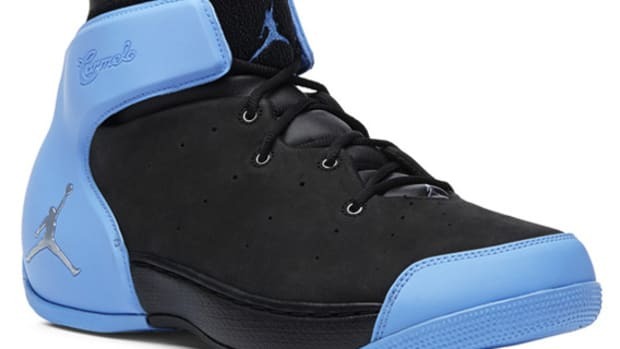 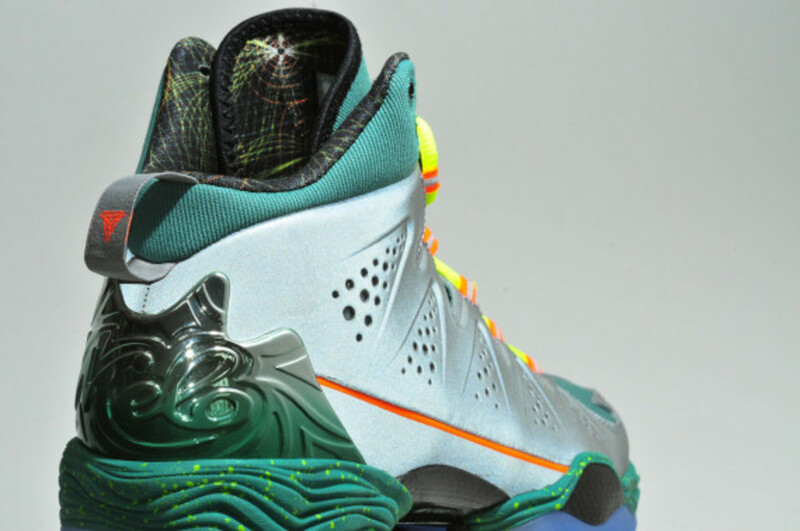 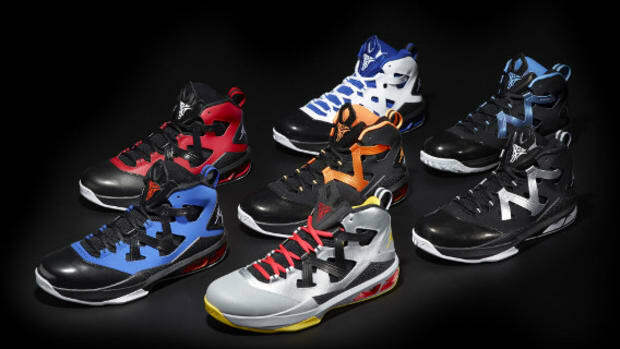 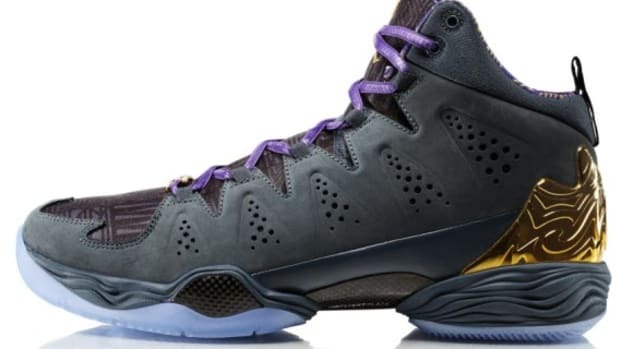 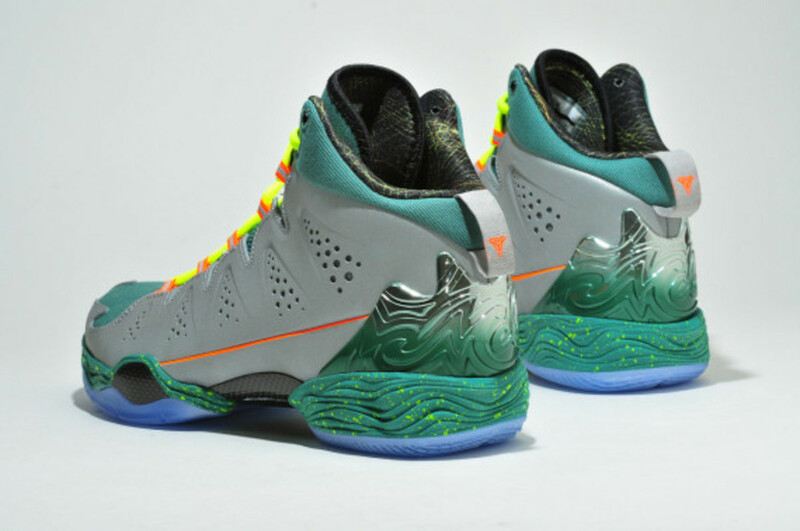 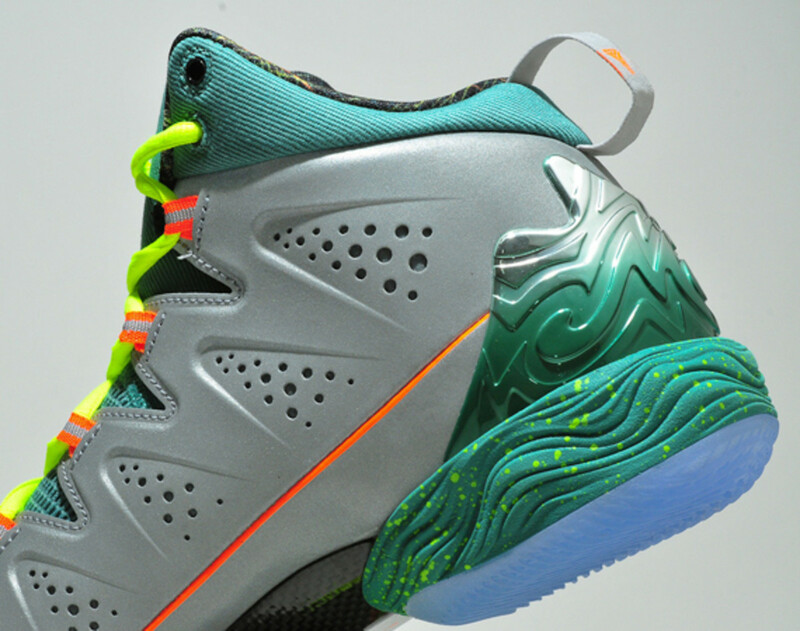 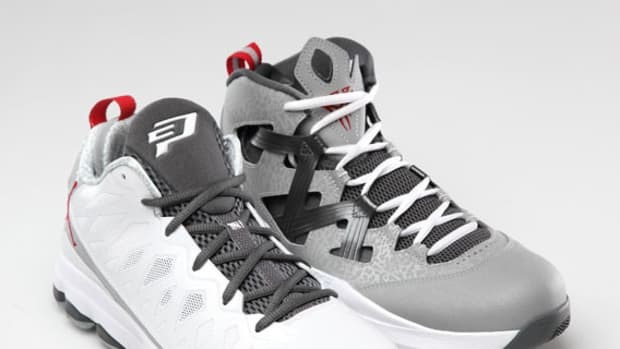 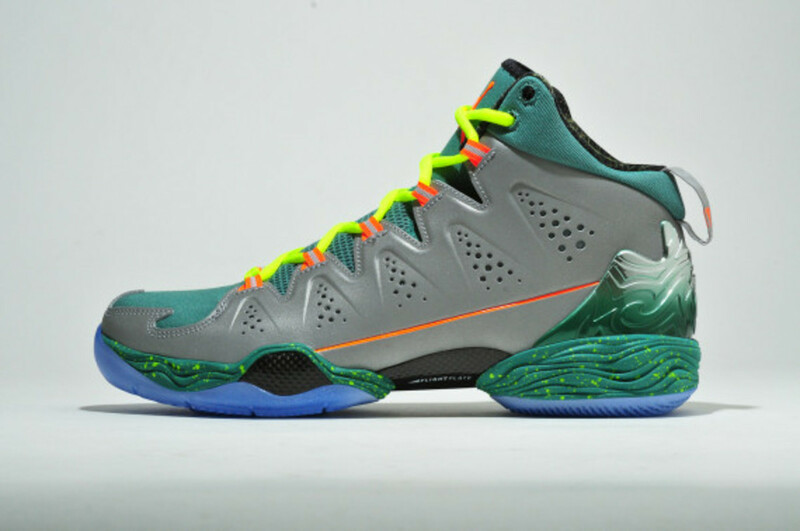 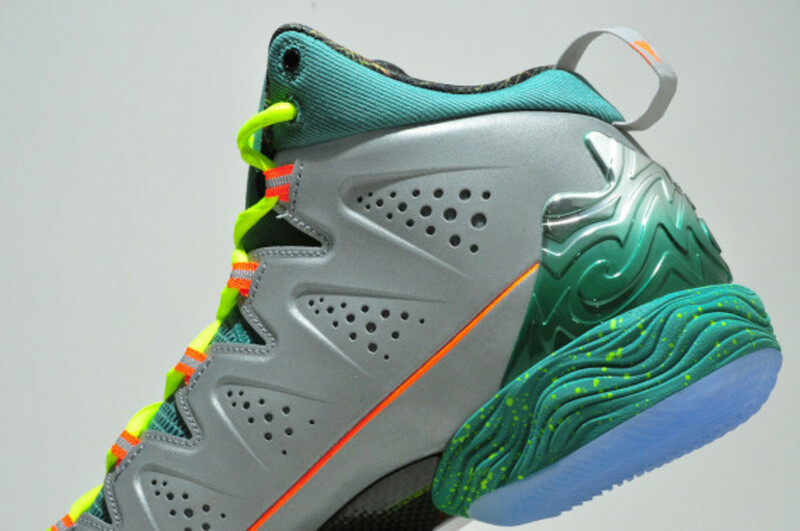 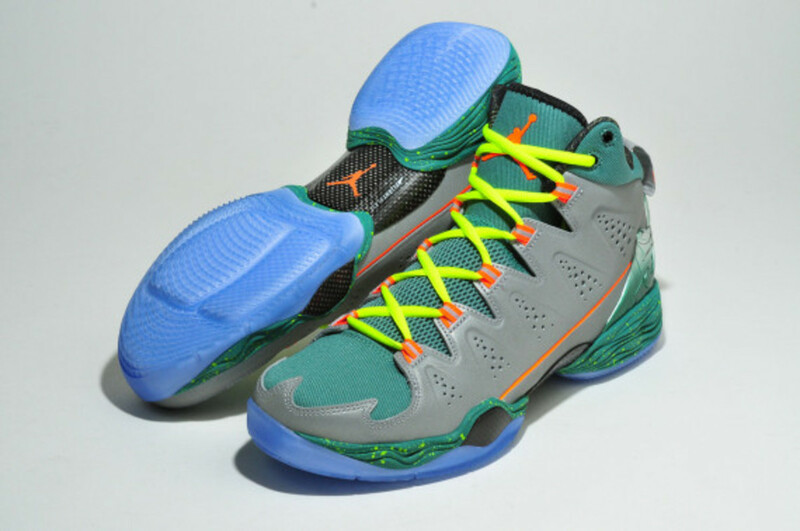 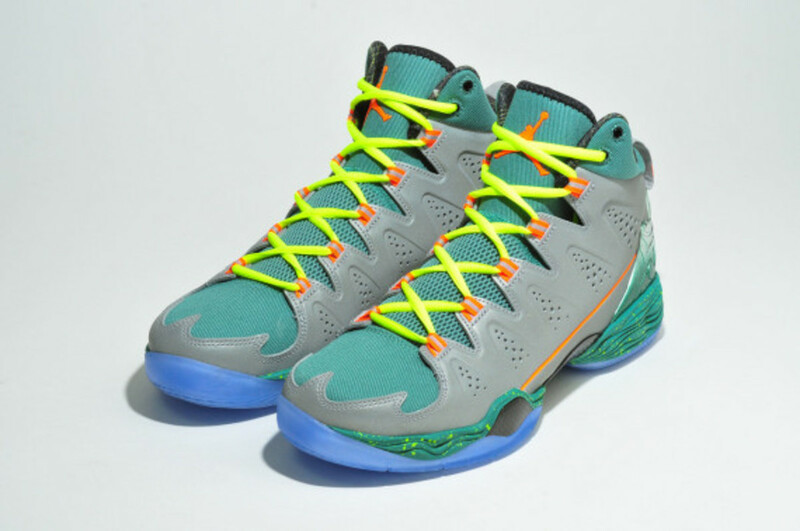 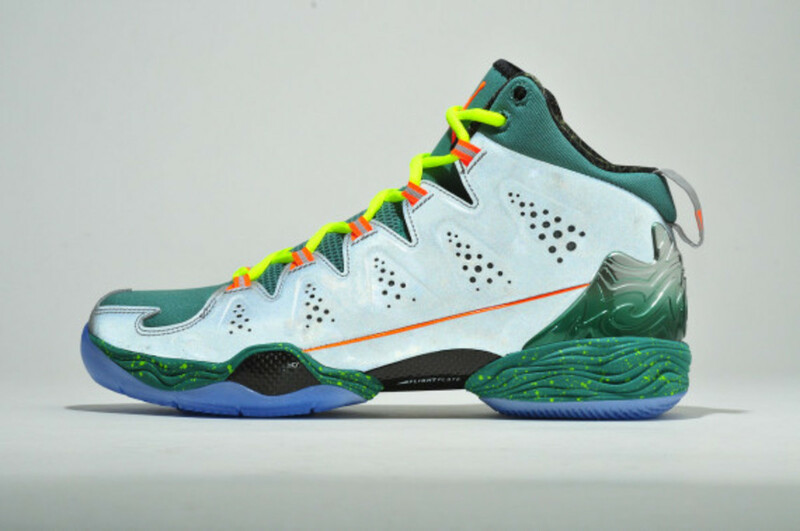 The shoe is the upcoming Jordan Melo M10, which eschews the typical Christmas colors for a design scheme highlighted by a neutral grey base. 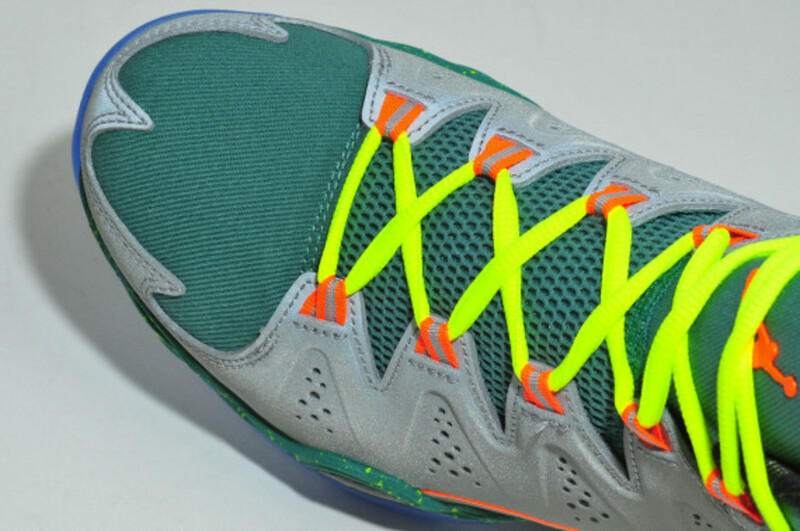 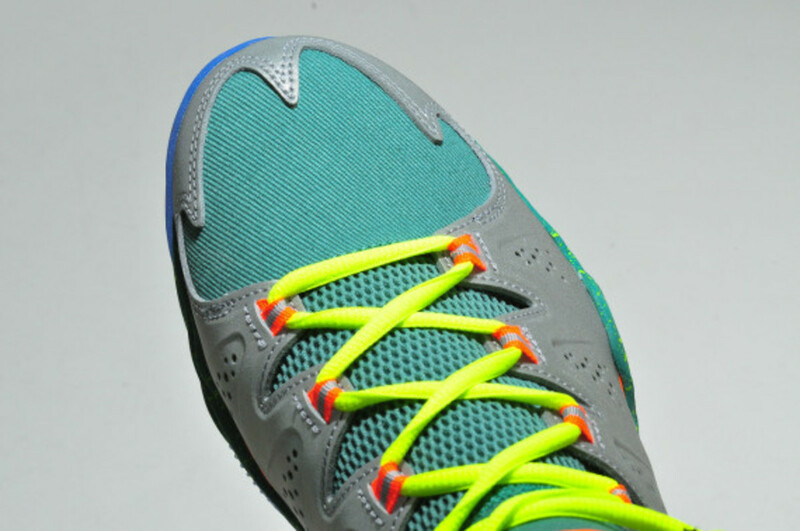 That grey hue across the molded quarter panel is finished with a reflective treatment so that it pops under light, while additional hits of color take the form of neon yellow laces and a bright green TPU heel counter. 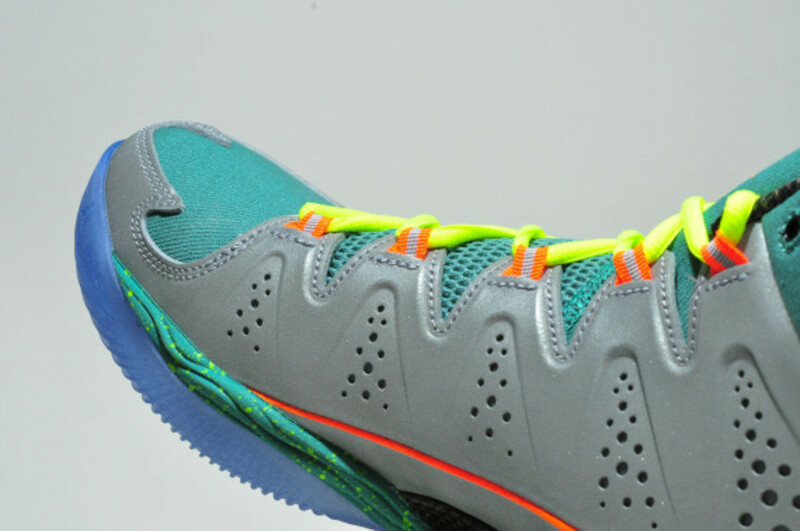 That same green hue covers the speckled midsole and twill underlay, with the icy blue translucent outsole providing superior traction and durability. 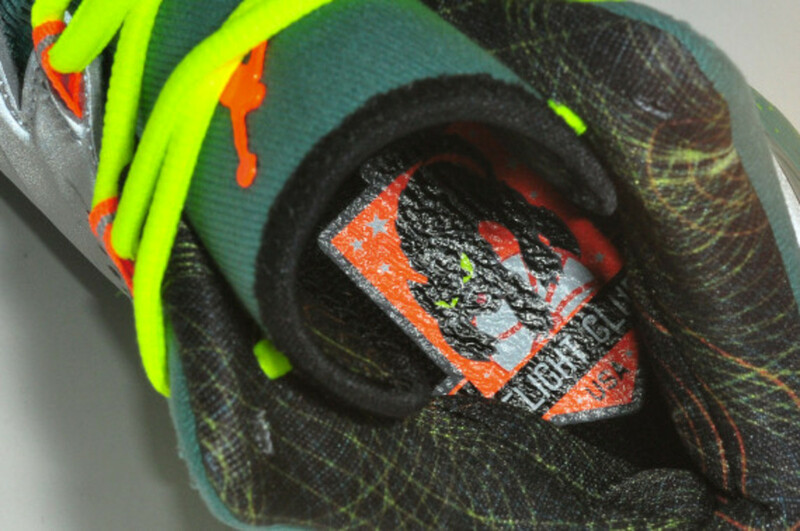 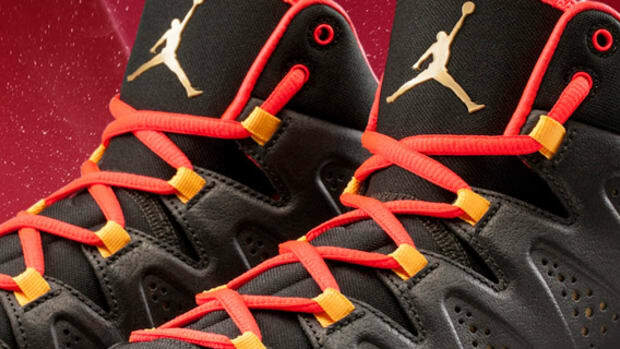 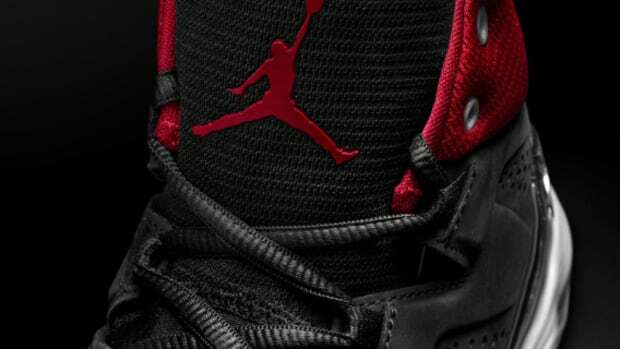 Check out detailed looks below, and stay tuned for word on a release date.